TV dramas can be especially good at conjuring up a sense of place: War and Peace, Happy Valley, Taboo, The Bridge, EastEnders… But it's possible when writing scripts for radio too, like Radio 4's Breaking Up With Bradford (written about on the Writersroom Blog by writer Kamal Kaan with the script available here). Bradford, you beauty. From our house on the hill you can see the glistening moors spread out like an emerald carpet. Nearby reclines the handsome Listers Mill and beside it, the hermit crab-shaped Valley Parade Stadium. 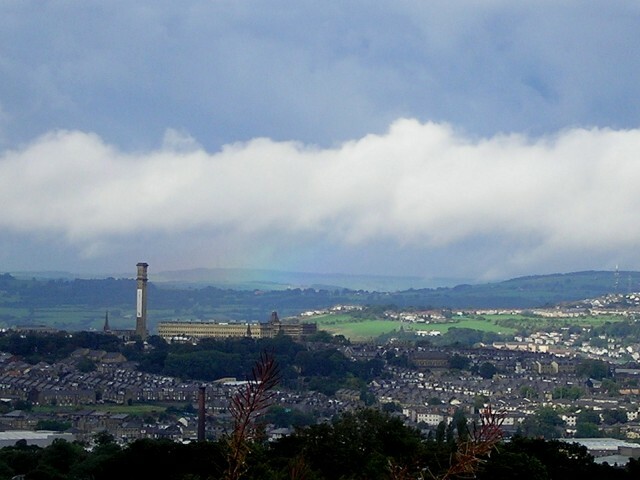 How I've longed to be wrapped in your terraced streets again, knitted with multi-lingual threads of races and faces, Bradfordian lasses and the posh middle classes. Home is where the heart is. The heart is where you are. Let me rest my face against the beating under your shirt. 1. Give your reader a place. 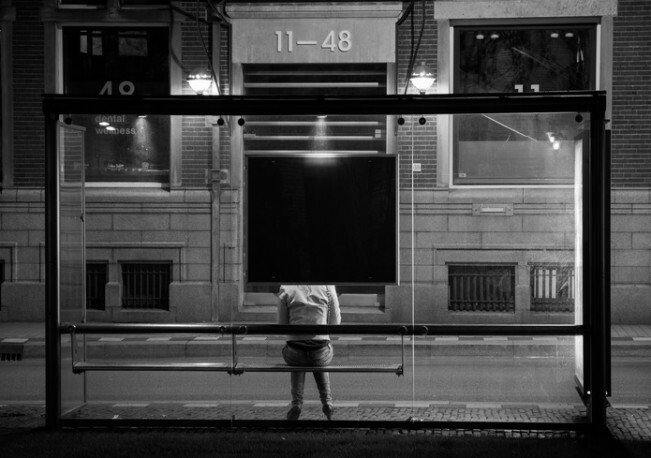 Don't just say "on a street" or "in a pub", tell them what the room or landscape is like. 2. Start by either thinking about your place from a close-up, like a half-drunk cup of tea abandoned on a table, and zooming out to the rest of the room. Or start by thinking in wide-screen, "London in the rain", and getting tighter and tighter into your setting. 3. Try and create a sense of atmosphere, describe a place with more than one sense. A forest soundscape, but claustrophobic. A moaning low wind, the screeches of carrion birds rather than birdsong, the scurryings of vermin in dank undergrowth. 4. Trust your reader's imagination, don't write out a floor plan, readers don't care about facts unless they're essential to your plot. 5. Create a sympathetic background. Consider using your environment as an addition to the action, so it adds to the action or mood you're hoping to evoke. You don't have to go for the obvious, a kiss can happen in a living room but also at a bus stop in the rain, by a broken-down car, at the top of a mountain… Make your action and place work together. What do you want to say about the kiss? Help your audience understand that through the setting. 6. A sense of place can be evoked through a character's language, dialogue and manner of speech, as in Breaking Up With Bradford. Places also come to life through stage directions, as done so brilliantly by BBC One's Taboo. The tavern has a large open space where a wood fire roars. There is a table with a black tablecloth with food and wine. Beer barrels rest on trestles. The wake is busy, unfussy, and dominated by the arrival of James. Wine is present in huge quantities and there is a single haunch of beef which will feed everyone. The location, culture and society that your writing is set in will all be brought to life through your stage directions as well as your characters, whether that's fantastical like in Doctor Who, historical as in Peaky Blinders or set in today's world like Sherlock. 7. Start out with some great nouns which will describe your place. Rooms mostly all have walls, ceilings, chairs and windows. What makes your place distinct? Does it have creaking mahogany furniture? Nicotine stained wallpaper? Low, tired sofas resting on weary carpet? 8. Think about how you would describe the place if you were watching your story on film, and try describing it that way for your script. 9. To get started you can try writing about a place which is significant and meaningful to you. 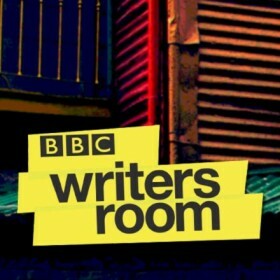 Bring a location alive and share it with the BBC Writersroom: Script Gym. Please read and comment on the scripts and support the Writersroom community. Please note that The BBC Writersroom team will set you Script Gym challenges each month, but we will not be involved in reading or giving notes. Join the writing communities for Doctor Who, Class and the BBC Writersroom. Image credit: Image used, colour edited and text added to come versions under Creative Commons Licence Thanks to Tim Johnson.